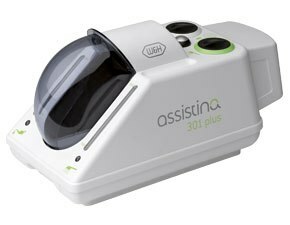 The maintenance process of Assistina 301 Plus starts automatically at the touch of a button. After only 35 seconds, the instrument is perfectly maintained. The automatic rotational lubrication ensures optimum distribution of the oil and that an even film of lubricant is created. Dirt particles are loosened and removed. The lifespan of the instruments is increased significantly whilst service costs are reduced.